We are Steve and Lindsay Inzalaco, owners of Shady Grove Farm. Summer of 2018 was our first year operating, but we had been dreaming and scheming for quite awhile. After Steve attended a farm apprenticeship program in Santa Cruz in 2015, the plans to start a farm began forming. We relocated from frigid Wyoming to greener pastures in Washington state in 2017, in order to have a longer growing season and be closer to family. After the land search roller coaster, we are thankful to have signed a lease on an acre of certified organic land in Camas, Washington. 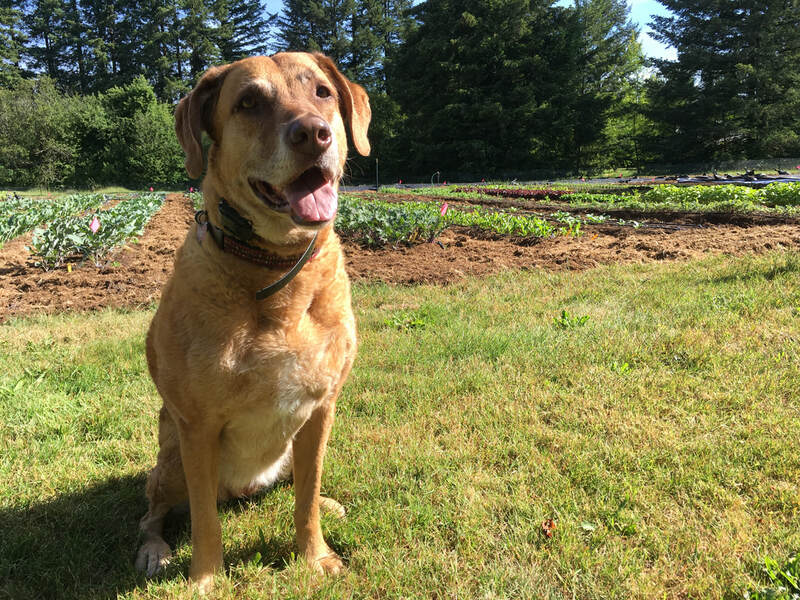 Having our farm in Camas is important to us because we are putting down roots at both our farm and in the community where we live. We love providing delicious, nutritious vegetables to Camas and the surrounding area! We sell produce through our CSA program, at both the Camas and Vancouver Farmers markets, and to local restaurants. In the future, we have hopes of partnering with classrooms in the Camas School District, where Lindsay is a teacher, to provide hands on learning experiences and farm education to students. We love the traditional bluegrass song "Shady Grove". It holds memories of the beginning of our relationship and is always a fun campfire guitar song. Have a listen to our favorite version performed by Crooked Still. Funny coincidence, the farm is also located next to an airstrip, named Grove Field.